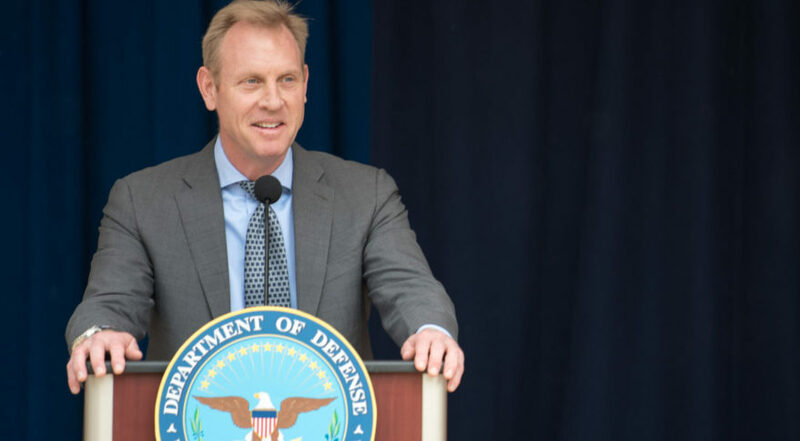 WASHINGTON — Deputy Defense Secretary Patrick Shanahan suddenly canceled a meeting with reporters scheduled for Wednesday to discuss the contents of a report that recommends major changes in the organizational and management structure of the space components of the Department of Defense. The review was mandated by Congress in the 2018 defense policy bill. Shanahan submitted an interim report in March and said he would submit his final report in August. This highly anticipated study is seen as the foundation for future legislation that Congress would write next year to create a Space Force. President Trump on June 18 ordered the Pentagon to form an independent branch of the military focused on space but Congress has the final word. A Pentagon spokesman informed reporters late Tuesday that the meeting to discuss the report would be canceled. Early Tuesday, Defense One published a story based of a draft version of Shanahan’s report dated July 30. The Pentagon spokesman would not say whether feedback from the leaked report drove the decision to delay its release or comment publicly on it. Industry sources who spoke with SpaceNews late Tuesday speculated that one of the issues that possibly required more coordination was Shanahan’s recommendation, according to the Defense One story, to entirely redo the military space acquisition enterprise by creating a Space Development Agency. The Space Development Agency presumably would replace the Air Force Space and Missile Systems Center, a huge organization of 5,000 people based in Los Angeles that oversees a $6 billion space portfolio. Air Force Secretary Heather Wilson in April announced a massive reorganization known as SMC 2.0 aimed at accelerating the development of modern military satellites that will be less susceptible to jamming and other anti-satellite technologies being advanced by Russia and China. Since taking over as the Pentagon’s second in command, Shanahan has said one of his top goals would be to accelerate innovation in military systems and change many of the processes that he viewed as outdated. “We need significant results in terms of Department of Defense’s performance when it comes to space,” he told reporters in April. Over several months working on the study, Shanahan met with top Air Force leaders and visited SMC in Los Angeles. The interim report he submitted March 1 was highly critical of the acquisition system for space. It pointed out that current processes slow down modernization at a time when U.S. access and use of space capabilities are being threatened by foreign adversaries. The Space Development Agency that was mentioned in the draft report quoted by Defense One would oversee satellites and launch vehicles. It apparently would be modeled after the Missile Defense Agency. Industry sources said that if this initiative were to move forward, the SDA would, like MDA, report to Undersecretary of Defense for Research and Engineering Michael Griffin.